Come and visit us next summer on weekends only. 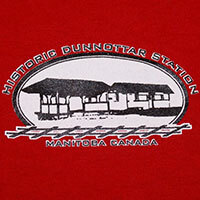 The Dunnottar Station Museum on Central ave. at Railway Street. A group of enthusiastic local volunteers are refurbishing an over one hundred year old CPR Beach Station. They have recently constructed a Platform Shelter and Tool Shed using original blue print CPR plans. A growing collection of railway artifacts and community memorabilia are displayed inside these buildings. A great new place to take pictures for your own family archives. These beach train stations played a very prominent role in the travel plans of the original vacationers to this area. Whether out for the day or for the summer, in the beginning most vacationers arrived by train. Since 1903 the trains brought passengers, supplies and mail. The post offices in the grocery stores were located near the three beach stations . There were several trains traveling these tracks each day bringing all the merchandise and building supplies needed to develop all the year round communities north of Selkirk. In 1947 the three beach communities of Ponemah, Whytewold and Matlock were incorporated as the Village of Dunnottar. The Village was named after Dunnottar Castle in Scotland. 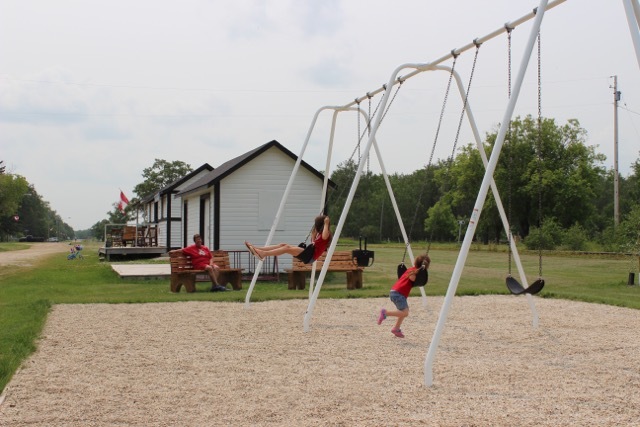 The museum is officially designated a not-for-profit project by the Community Places Program of the Government of Manitoba. The fun part of visiting the museum during weekend summer hours is the docents (interpreters) stories and tales of life of the olden days and the history of the area. They rely heavely on stories related to them by visitors. 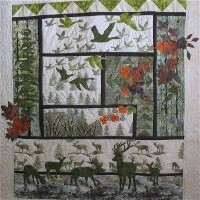 Every year we are the recipients of more items of interest. There are maps and memorabilia along with albums of photos from the early 1900’s. On display there is a set of original plans for a cottage built in 1917. 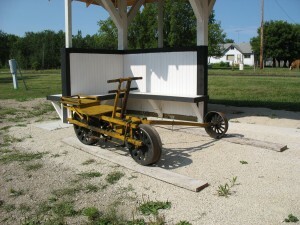 We have an original CPR Velocipede on display. The art form of story telling is alive and having fun at the station. Drop in to see the exhibits and the many items about the trains and the area on display. It is also a GPS Geocache site hosted by Interlake Tourism Association of Manitoba. This summer Bruce and Don are welcomeing folks into the old station, regaling them with stories of the olden days and plans for the future. 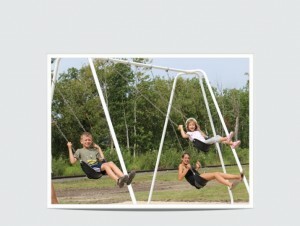 Recycling cans, bottles, and selling T-shirts, and tickets has paid for the swings and benches. Thanks you to the nieghbours who help us out. We have new dark green Village Sweat shirts and some T-shirts for sale next door at the Art Center.